On the last day of the annual US-South Korea military exercise, North Korea has fired seven ground-to-air missiles into the sea, South Korea’s defense ministry says. North Korean leader Kim Jong-un was present during the launch, a ministry spokesman from South Korea said. The annual exercises, which Pyongyang calls a rehearsal for invasion, are always a trigger for a surge in tensions between the two Koreas. North Korea showed its opposition to this year’s drills by firing two short-range ballistic missiles when they began earlier this month. 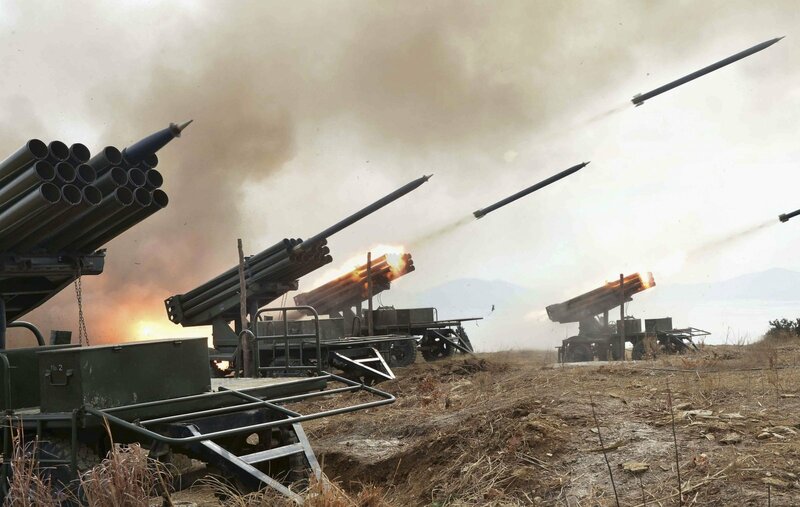 South Korea said the missiles fired on March 13 were believed to be SA-2 or SA-3s, with a range of “dozens of kilometers”, as well as one SA-5 with a range of 120 miles. “We see this as another show of force by the North related to the exercises,” a spokesman told AFP news agency. There were no reports of tests in North Korean media. One of the US-South Korean exercises, Key Resolve, ended on March 13 while other, Foal Eagle, continues into April. The US and South Korea say they are for defense training purposes. The missile launch comes as North Korea and South Korea are already involved in a row over wages at their jointly run Kaesong industrial zone. Kaesong area lies just over the border into North Korea and is the only area of co-operation between the North and South. Last month, Pyongyang said it would raise the basic salary of more than 50,000 North Koreans working there, but South Korea rejected this saying any wage rise had to be agreed by a joint committee overseeing the management of the industrial area.